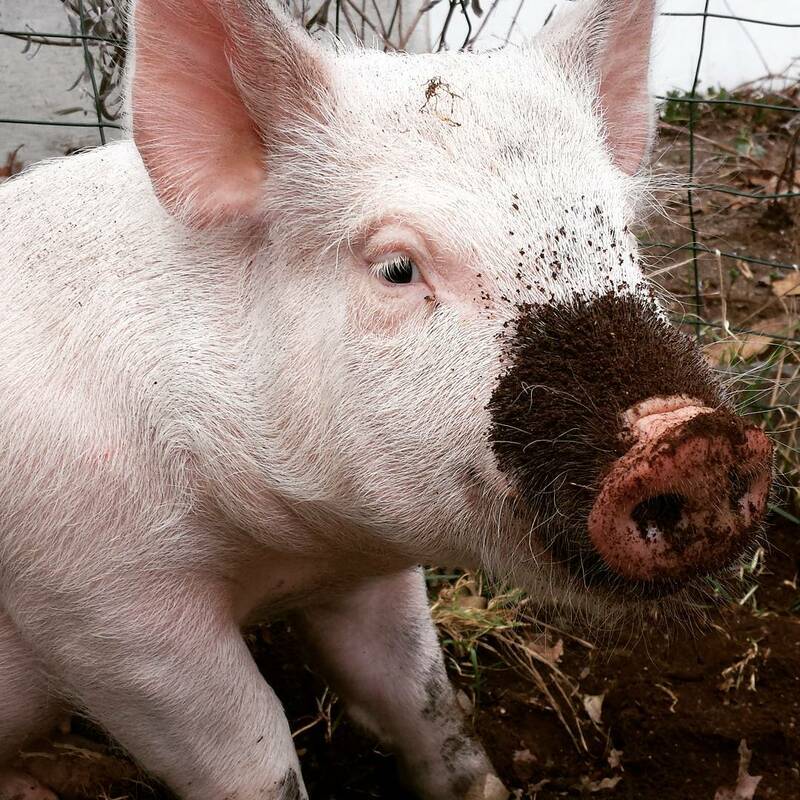 Nancy Willa Jean was one of thirty pigs, two litters that were born at a farm outside of Wautoma, Wisconsin in the spring of 2015. She was the runt of the litter and about a third of the other pigs sizes. Ironically, the fact that she was born the runt, a problem that can risk some piglets lives, was what ultimately saved her life. soon as he "got around to it." She wasn't growing at the rate she should, and he didn't feel she was worth his time or effort. I paid twenty dollars for her and took her home. 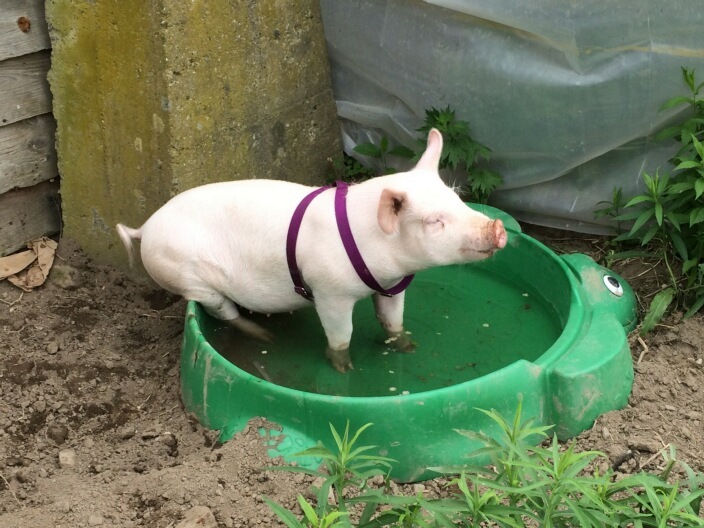 I quickly learned that Nancy, as all pigs do, possessed a personality and spirit that was impossible not to love. She made me smile, laugh, and would eventually, make me cry. 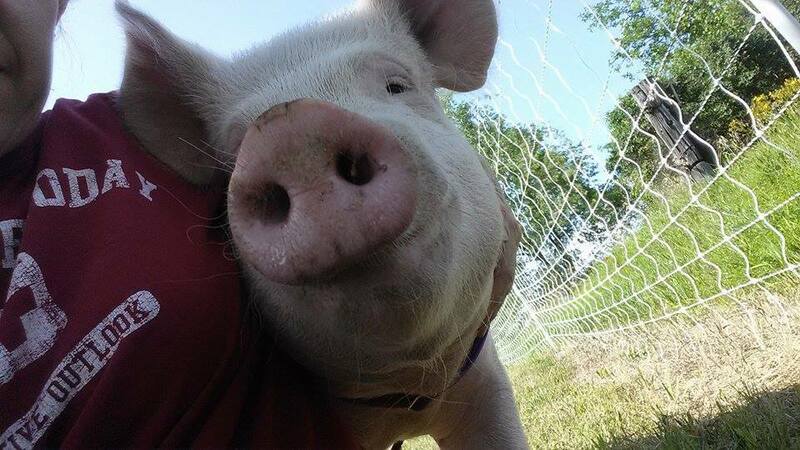 I live in the city of Wautoma, which is a city that doesn't allow pigs to be kept as pets. 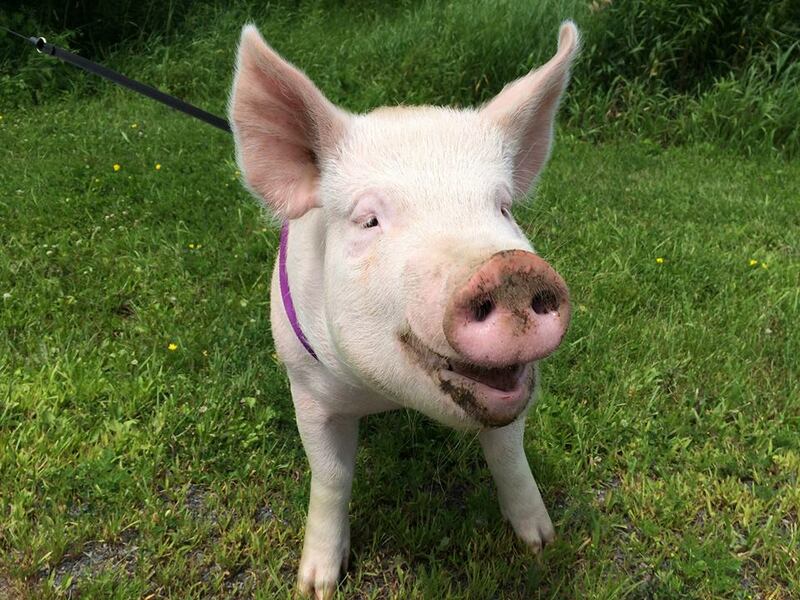 So the race was on to find a sanctuary for Nancy to live out her years in happiness surrounded by love. 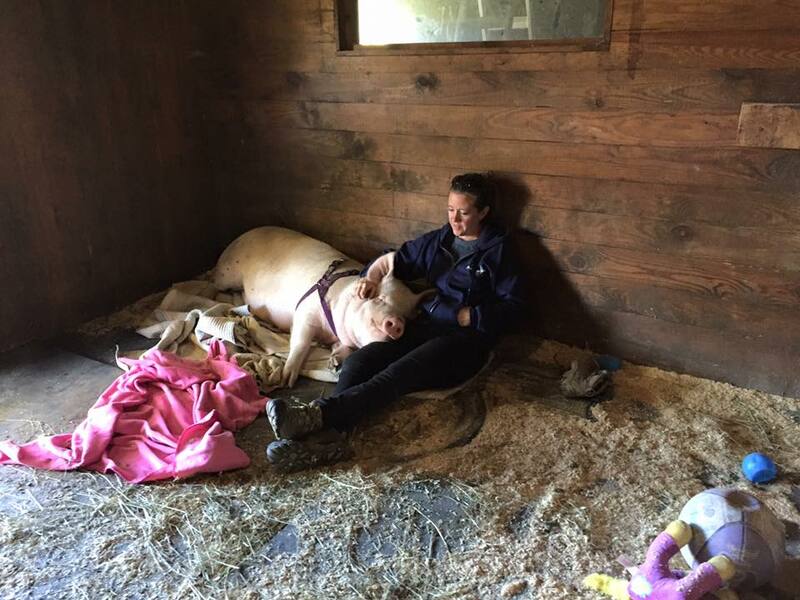 Chatham Animal Haven saved the day when they agreed to take Nancy Willa Jean, and provide her the care and love she deserved. The day Nancy would begin her journey to Chatham Animal Haven, in New York, was bittersweet. Her new life was beginning, but her time with me was ending. 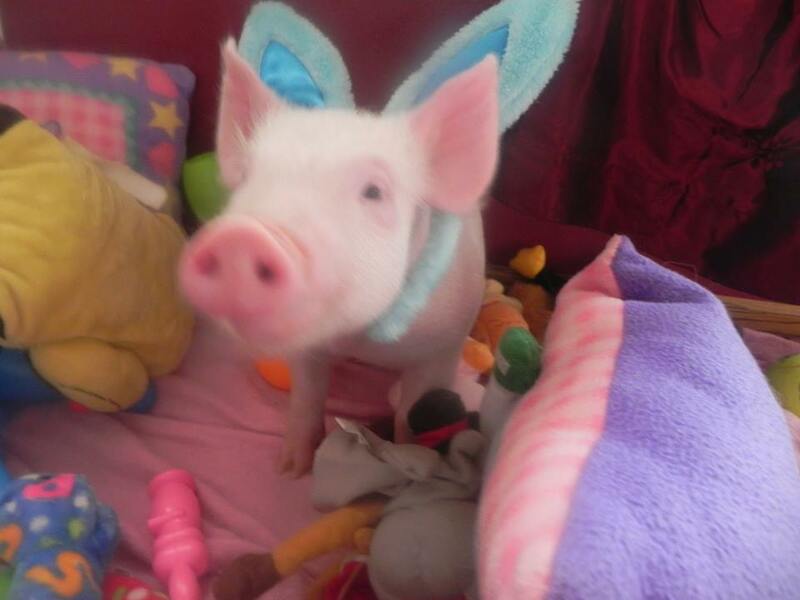 I would have to say goodbye to the little pig I had grown to love so much. I would not be there to watch her grow up big and strong, to watch her play, or to protect her in the years to come. Instead, I would have to watch her do all of those things through pictures and video, from so many miles away. Saying goodbye to her was the hardest thing I've ever had to do. The Liberty Train and Rescue group, which transports dogs to various rescue groups and adoptive homes all over the country agreed to drive Nancy from Wisconsin to New York. It was a tense wait, but after three days Nancy was finally home. Her journey had come to an end and her new life started fresh, surrounded by those who saw her as family, rather than a meal or profit. I now watch Nancy grow through videos and pictures. It's not the same, but I smile through tears most times when I see them, both missing the little piglet I once saved and being overjoyed at her happiness and the love she has recieved. I know that Chatham Animal Haven was the best possible home for Nancy Willa Jean. I recently drove past that farm Nancy was born on. Nancy's siblings were gone, as were the second litter of pigs. I think I am the only one they ever came into contact with that grieves for them. Saving them all was not possible. Each day thousands of pigs face what Nancy was spared from. 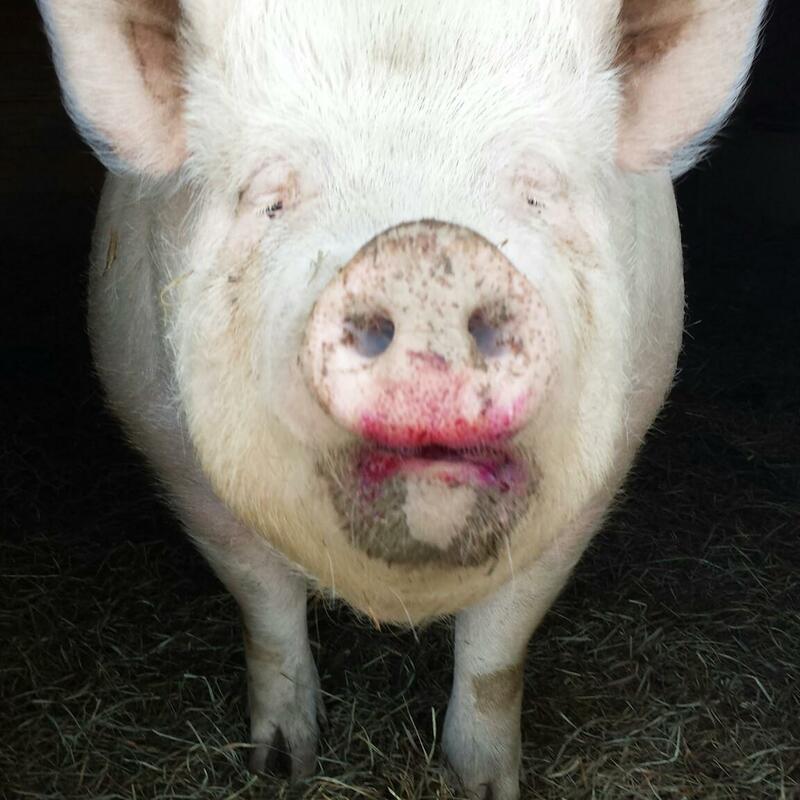 She is alive and loved today because of this sanctuary, and the people who make it their life's work to care for the animals who need them. I am eternally grateful to those at Chatham Animal Haven for accepting Nancy into their hearts, and for all the animals they will rescue in the future. 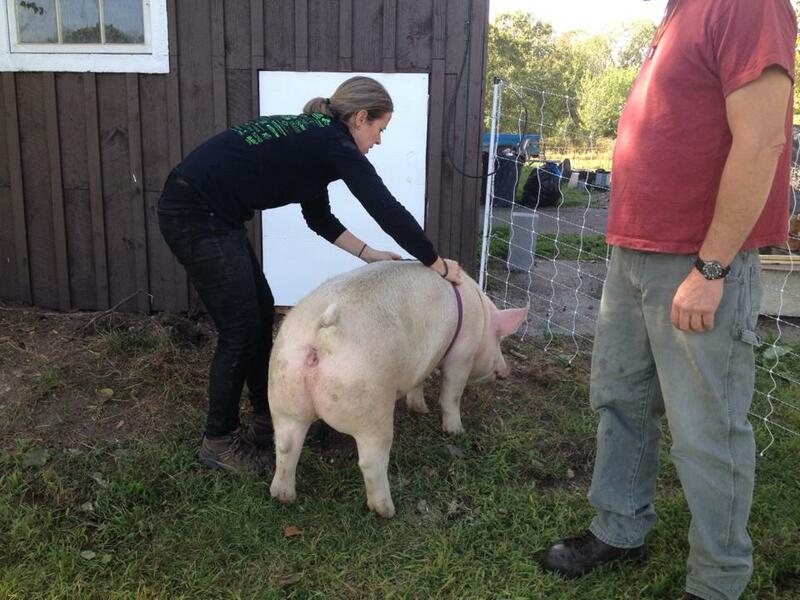 I am also thankful to a certain little pig, who isn't so little anymore. 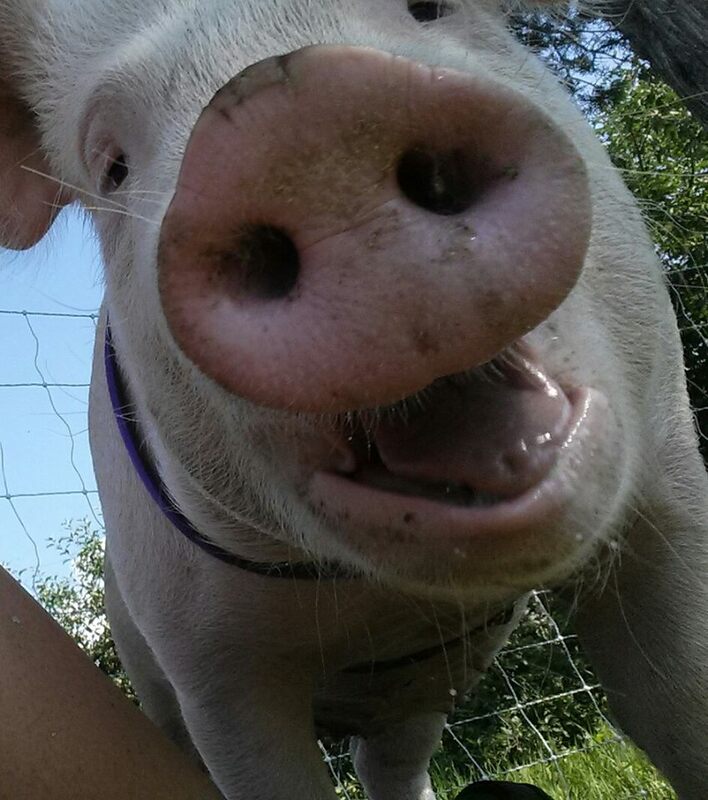 Nancy Willa Jean, who showed me the real beauty and love of pigs. You will always be in my heart.